Ragging is such type of crime which can destroy whole life of the students. It violates the dignity of the person. Sometimes it causes serious physical injury as well as psychological injury. Initially it has at least some positive aspect but now it has become a cruel inhuman act of harassing the new comers and indescribable physical and mental torture is being exercised upon them. It has now becomes a curse. It has to be stopped. 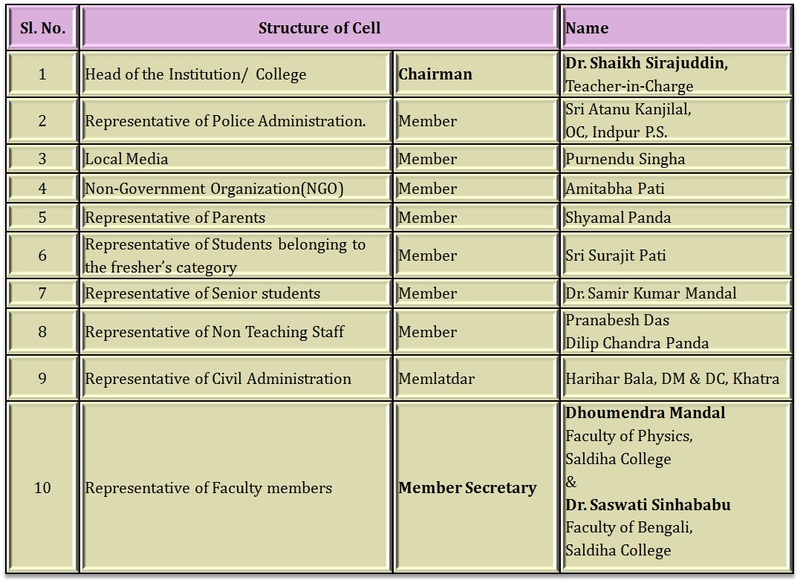 Saldiha College has Anti Ragging Cell for preventing ragging in college campus. In the college, ragging is totally banned. If anyone found guilty of ragging and/or of abetting ragging actively or passively, college shall take strict action in accordance with the UGC Regulations and Supreme Court.